Handyman Garage Doors provides Commercial Garage Doors which are both built tough and withstand the daily business wear and tear. When commercial garage doors are not operating correctly or are totally broken it can cost business a lot of money and headache. If you use the door as a way to move product in and out of a warehouse, or for a retail environment, having your door installed or repaired immediately is important. Be extra careful when it comes to a commercial garage door as they are a lot heavier and complicated to both repair and install than your typical residential overhead door. Count on Handyman Garage Doors to get your door up and running immediately. We have special commercial garage openers, torsion springs and cables which are suited for industrial doors, to be able to lift the heavy load. Using products with industrial strength and capacity will provide your door a longer life and less problems. Your business depends on the doors to stay tough, dependable and showing up working everyday just as you are. Handyman Commercial Garage Doors operates all over New Jersey; some counties we target specifically are Ocean County- Monmouth County- Mercer County – Middlesex County – and Union County. 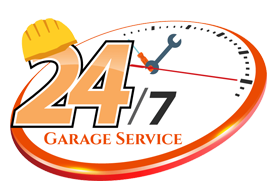 When you are in need of a company that can both repair and install commercial garage doors in New Jersey and has years of experience doing so, give us a call at 732-822-0778. We offer free estimates for any industrial or commercial doors. Any company or business that works with us can use our liability insurance as a certificate holder to insure that the work is done and your business is safe in the meanwhile. With many different industrial, commercial and retail options comes different style, quality, and types of doors: Commercial sectional doors operate quietly meanwhile helping keep and maintain thermal efficiency in your warehouse or business. Sectional doors are amongst the most popular due to their range of customizability, effectiveness and aesthetics. These doors come insulated, steel, aluminum glass (transparent), with high wind load and weather resistant. The use of a commercial operator is recommended as these doors are brought up in sections. The correct commercial torsion spring system must be installed to ensure longevity of your sectional garage door. Roll up doors are another great commercial door option. They are highly durable and secure. Roll-up garage doors are a great choice for industrial use as they can take extreme wear and tear. A perfect choice when you are lacking headroom for a sectional door. Roll up doors do exactly what they are called and coil up onto a shaft. They operate quickly with or without a commercial garage opener. Weather your business requires a door for interior or exterior use roll-up doors are an efficient and effective choice. They also resist bad winds, can be fireproof, have different shutter designs and are usually made of steel. With commercial doors such as the sectional and steel roll up gate pairs an industrial and commercial garage door opener. There are hoist operators and trolly operating commercial door openers. They contain high duty torque motors and are fit to be able to lift doors which are sometimes 10x heavier than your regular residential overhead doors. Commercial door operators are manufactured to meet their performance and requirements.